Anyone reading this probably has a few fitness goals that they want to achieve. Whether the goal is to get stronger on a certain lift, drop those last 10lbs before summer, or even train to compete in a 5k, we all have some type of goal. 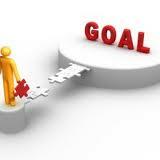 Once we have established a goal most of us come up with a plan to help us reach that goal. Maybe we spend more time focusing on a certain lift we want to being up and back off some other lifts, adjust our diet a little bit to drop those final 10lbs, or we construct a running schedule that will continually ramp up until the week of the 5k. This seems to be the point where many of us fail. We’ve established our goals and constructed a plan to carry out those goals and yet we still don’t seem to miss out on the joy of actually reaching and accomplishing our goals. Why – because showing up is half the battle. No matter how worthwhile the goal is and how perfect the plan is to reaching that goal, you’ll never reach that goal if you don’t show up. So many people have everything set and in place yet fail to show up on consistent basis. If you want to get stronger on a particular lift and skip out on training that lift chances are you won’t be making any gains. Constructed that perfect diet yet come home and sitting down for a half hour with your friends Ben & Jerry – doubt you drop much fat. If you planned on running 4 times a week to train for that 5k and skip out on two sessions a week you’ve missed out on 50% of your chances of getting better and reach your goals.